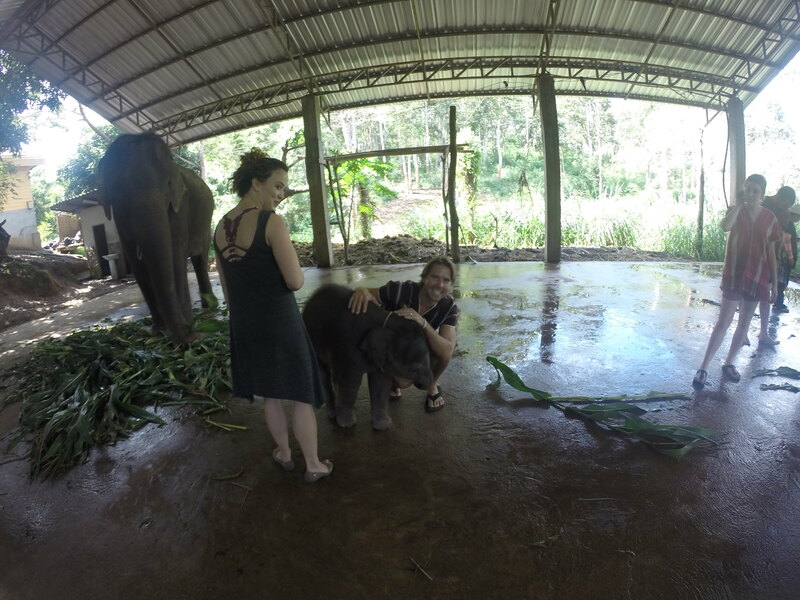 We spent a day “pampering” elephants just outside of Chiang Mai (which is in the northern part of Thailand) just over a week ago. This was one of the activities that brought us to Chiang Mai – along with their plethora of temples (which, BTW I have officially been templed-out). But before I get into all the nitty gritty about what exactly we did with the elephants I want to share a few fun facts I learned during the day and during our research. 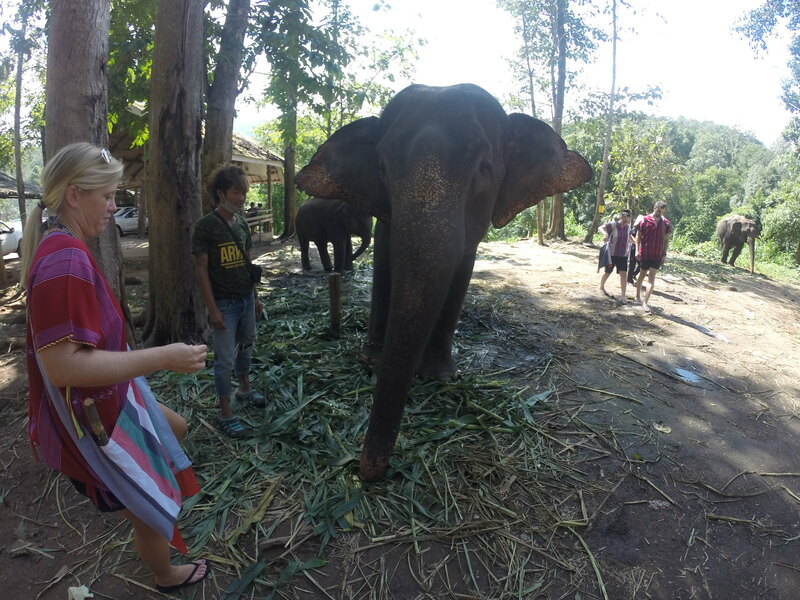 There are countless companies offering similar day trips to interact with elephants. We chose The Chai Lai Orchid for a couple of reasons. The first was they do not use the chair harnesses on the elephants which can be very uncomfortable for the beasts. The folks at Chai Lai described it to us as wearing a back pack every single day without a shirt for 8 hours. That doesn’t sound great. The second reason, and what we felt best about, was the place is run by a gal from NYC who uses the facilities to rescue young girls (from a variety of situations) and provides them with valuable hospitality skills including English. The skills will allow the girls, when older, to get jobs within the growing hospitality industry in Thailand. The program is called Daughters Rising. Not sure how “fun” this fact is, but I found it interesting. 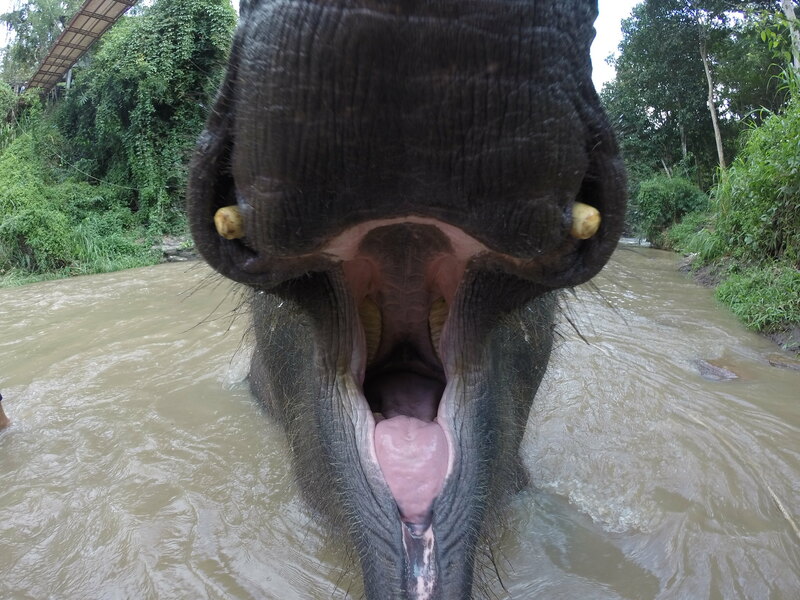 There are no wild elephants in Thailand. Yep. Zero. Zilch. Nada. No wild elephants. They are all in some form of captivity. Some used for tourism activities, some just chilling on a reserve. To me that was strange because there is elephants everywhere – t-shirts, paintings, statues. And I guess being a naive Westerner I just assumed elephants were running wild all over Thailand. I was wrong. As mentioned earlier there are plenty of companies offering tourists the opportunity to interact and pamper an elephant for a day. The fun fact here (again, maybe not fun) is that none of these places own the elephants. There are a few people rich enough to own them and they lease/rent (read: pimp) their elephants to the companies that then sell the tourist packages. That is what we signed up for. 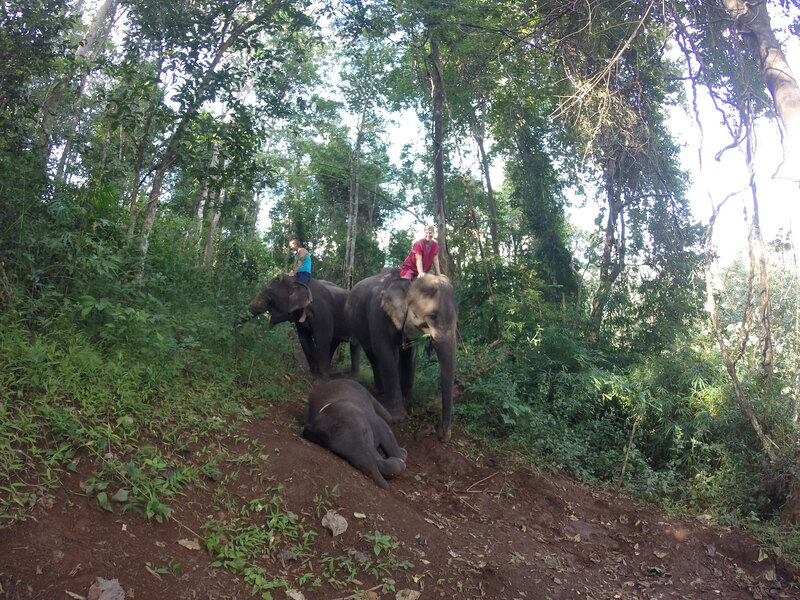 This included feeding them, washing them, riding them and playing with the latest addition to the group – a 2 month old baby elephant. 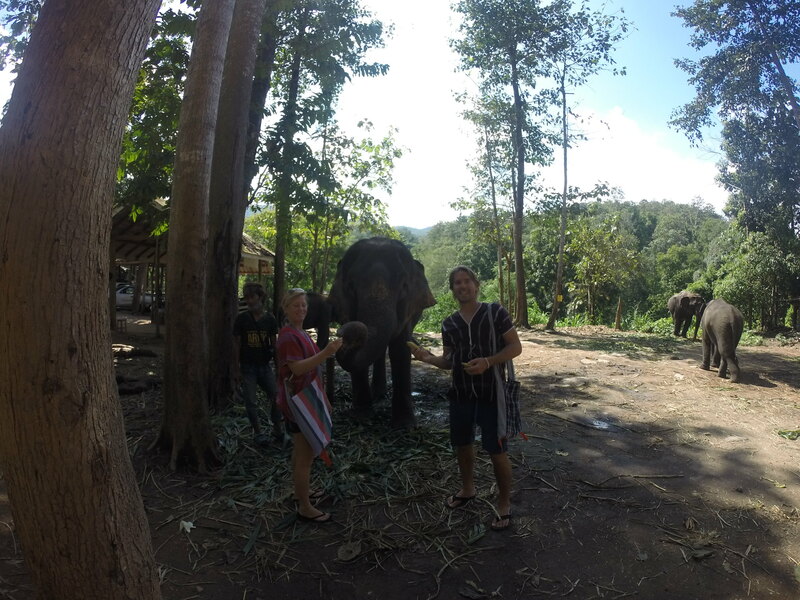 The first thing we did was feed the elephants some tasty treats (coconuts and bananas). I’m guessing this gets us on their good side. We always had the elephant trainer with us while near these giants. We are wearing traditional clothing. I think. No one else besides the tourists were wearing these shirts. So, I don’t know. What I really wanted to tell you was that the elephants would eat a whole coconut like we would a grape. The entire thing in their mouth, one quick bite and adios. Incredible. Once we were good on how to ride the group broke up into two. 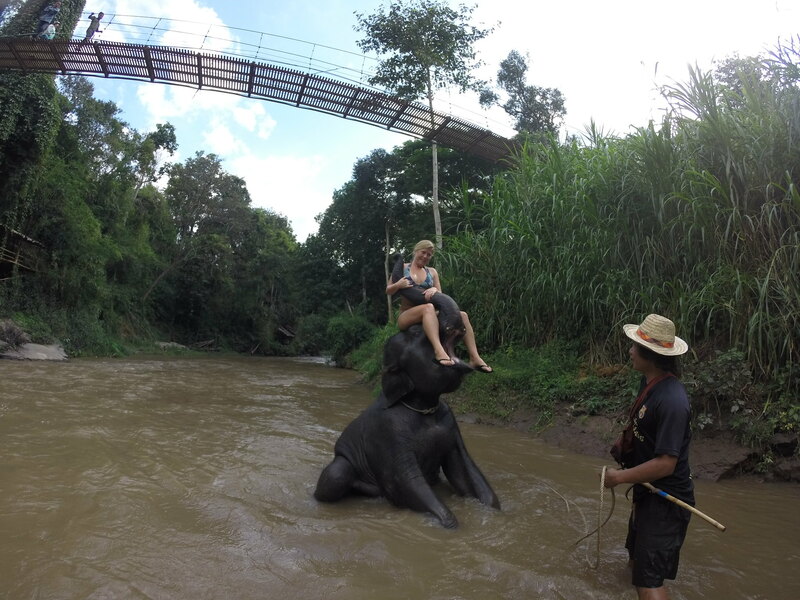 The first group, which we were not a part of, took the elephants for a spin around the jungle surrounding the place. 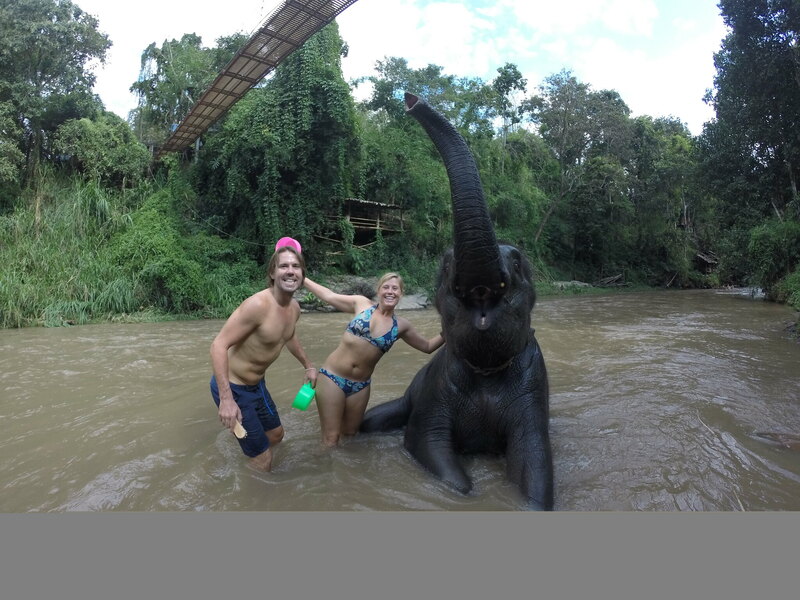 The second group, which we were a part of, took an elephant down to the river for a good ole-fashioned bath. We put on our suits, grabbed our scrub brushes and headed to the river bank not entirely sure what we were getting ourselves into. It turned out to be my favorite part, by far, of the day. The elephants love the water. They love being scrubbed and the water was surprisingly refreshing for us too. In total we were probably playing with the elephant for 20 minutes in the river. 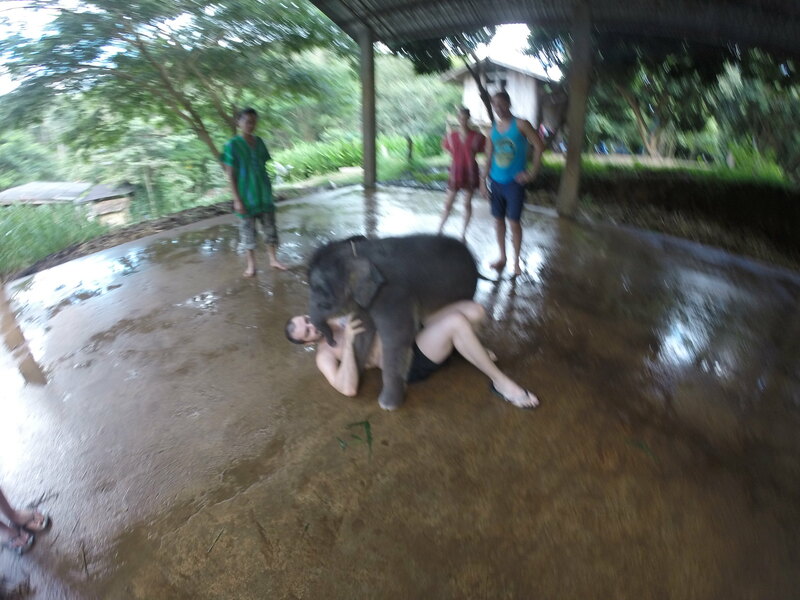 At one point I was nervous the elephant was about to roll over onto my leg so I made a quick move to avoid disaster. I got out of the way thankfully, but in the process lost a sandal. I had to walk barefoot back from the main town to our hotel (over a mile). This elephant is sitting down. We’re standing up. Gives you some idea of how large they are. Kisses anyone? When they kiss they do not mess around. Pert near sucked our faces right off. The first kiss caught us off guard because we couldn’t tell what the trainer guy was saying and then all of a sudden “BAM” – making out with an elephant! Riding the nose/head of the elephant. Getting off was the fun part. After the bath and playtime it was our turn to take them for a spin. It was fun to ride them – but feeding and bathing was much more interesting. I was riding grandma. Lindsay was riding mom and along for the walk was the daughter. Three generations of elephants. Every few hundred yards the little one would just start rolling around in the dirt and playing. And the grand finale was getting to play with their 2-month old baby elephant. So uncoordinated and yet kind of big. She still hadn’t figured out how to use her trunk so eating was a chore for her. Lindsay with the baby. Momma watching from a close distance. Kind of blurry, but the baby and this other guy we were on the tour with were really getting along. You can see Lindsay and I staring at them with jealousy in the background. You have officially broken my heart from extreme jealousy!!!!!!!!!!!!!!!!!!! !